Yale University Press, 9780300117233, 216pp. This provocative book presents a theory of the First Amendment’s development. During the twentieth century, Americans gained trust in its commitments, turned the First Amendment into an instrument for social progress, and exercised their rhetorical freedom to create a common language of rights. 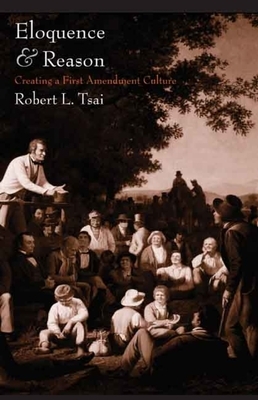 Robert L. Tsai explains that the guarantees of the First Amendment have become part of a governing culture and nationwide priority. Examining the rhetorical tactics of activists, presidents, and lawyers, he illustrates how committed citizens seek to promote or destabilize a convergence in constitutional ideas. Eloquence and Reason reveals the social and institutional processes through which foundational ideas are generated and defends a cultural role for the courts. Robert L. Tsai is associate professor of law at American University, Washington College of Law. He lives in Eugene, OR, and Washington, D.C.